I decided I would test out Steams big picture mode today with my wired Xbox controller since the UI looks very very nice. 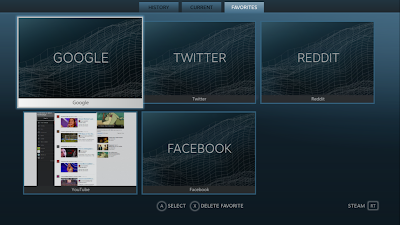 The interface is a very well made by Valve. It is perfectly designed for being using with a controller or a keyboard and mouse. 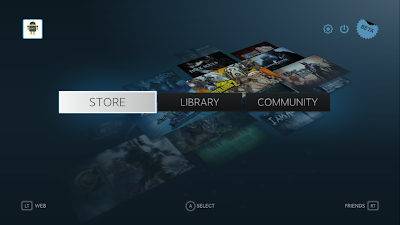 I feel in some ways it is easier to navigate with a controller than the PS3's XMB menu design and has some control elements similar to the "Metro" dashboard on the Xbox 360. The triggers on the controller navigate between the different views just like on the Xbox 360. 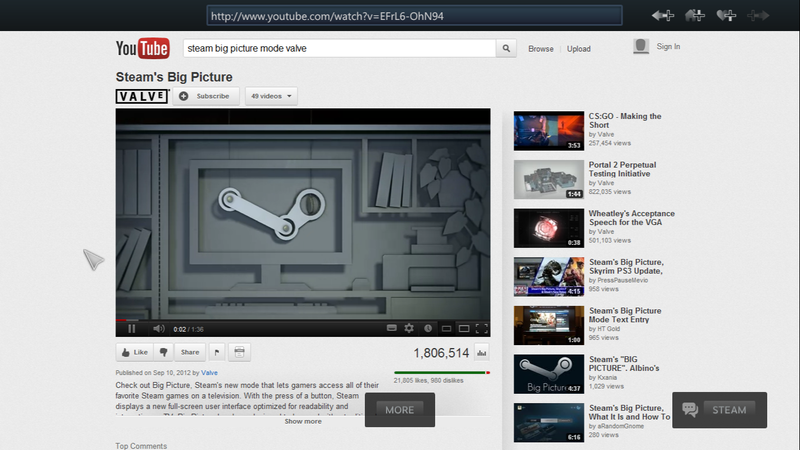 Big picture mode easily beats Steam's in game browser instantly because it comfortably loaded a webpage! 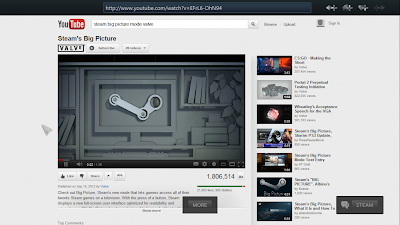 It comfortably handles YouTube and other sites and is quite easy to navigate using a controller. 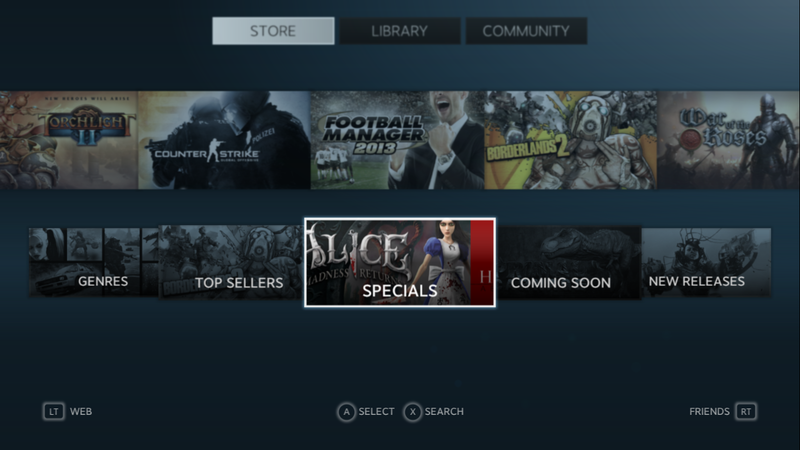 Its not gonna beat your default browser for all your browsing but it will certainly do for a quick Google with your controller. 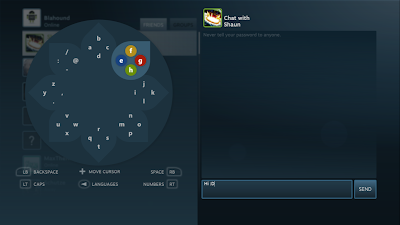 I really really love the chat daisy-wheel when using a controller and Valve are certainly right. It is the best typing solution I have ever used on a controller. As the picture shows you use the left analog stick to select a "petal" and then the face buttons each do a different character from that "petal". It takes a while to get used to but I have never seen a better way to type with a controller. I have no big picture mode option?? WTF?? To get into the big picture mode beta you need to go to Steam settings and opt into the Steam update beta.